Not just a whimper but a bang: Postwar art overturned T. S. Eliot’s prediction of the way the world would end, producing visions of both spectacle and negation, euphoric flash and nihilistic critique. “Damage Control” promises to chart this obsession with destruction, addressing culture’s confrontation with the devastation of World War II and the rise of unprecedented technological, economic, and environmental risks. 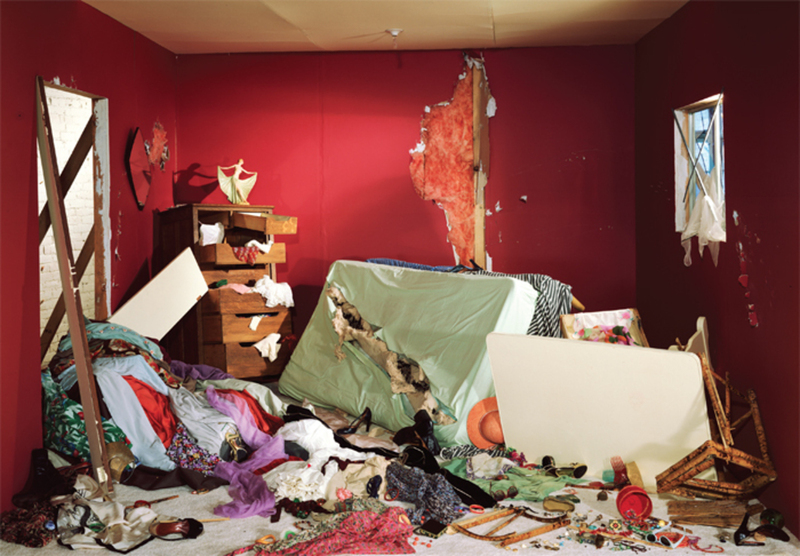 From Warhol’s car-crash Disasters to Jean Tinguely’s self-destroying sculptures, Christian Marclay’s punk-noir Guitar Drag, 2000, to Jeff Wall’s Destroyed Room, 1978, the exhibition will encompass ninety works by more than forty artists. Documentation of the 1966 Destruction in Art Symposium in London, which famously posed breakdown as aesthetic subject and structure, will be featured in the show as well as in a multi-authored catalogue. Travels to the Kunsthaus Graz, Austria, and Musée d’Art Moderne Grand-Duc Jean, Luxembourg in 2014. On the streets of 1860s Paris, the appearance of Charles Marville and his camera signaled one thing: There goes the quartier. The French photographer was point man for Baron Haussmann, the “demolition artist” who erased the old Paris and confected, as the Goncourt brothers put it, “a Babylon of the future.” Marville recorded picturesque, doomed intersections and new boulevards that stretch vacantly to the horizon like desert highways. The impression of a city rising into ruin is not retrospective fancy: Critics of the time called Haussmann “the Attila of the straight line.” Marville was more than a mere archivist of violent modernity, however, and with this unprecedented exhibition of some one hundred prints and an attending scholarly catalogue, the National Gallery restores the variety, depth, and strangeness of his art, left far too long in the shadows. Travels to the Metropolitan Museum of Art, New York, Jan. 29–May 4, 2014.